An award-winning line-up of sailors from ORACLE TEAM USA and Artemis Racing greeted the youth sailors competing in the first selection series of the Red Bull Youth America’s Cup today at a special media function. The stars – Russell Coutts, Jimmy Spithill, Ben Ainslie, Iain Percy and Nathan Outteridge – together have a collected resume beyond excellence: five America’s Cup victories, 14 Olympic medals and countless other titles. 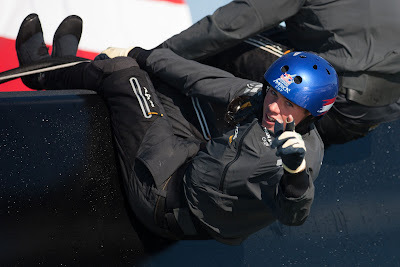 Coutts might be the most experienced of the group with four America’s Cup victories to his credit, but it was Spithill who put the Red Bull Youth America’s Cup into perspective. “My pathway to the America’s Cup was one of good luck,” said ORACLE TEAM USA skipper Jimmy Spithill, who at age 30 in 2010 became the youngest skipper to ever win the America’s Cup. “The Olympics used to be the avenue to get into professional sailing and the America’s Cup. 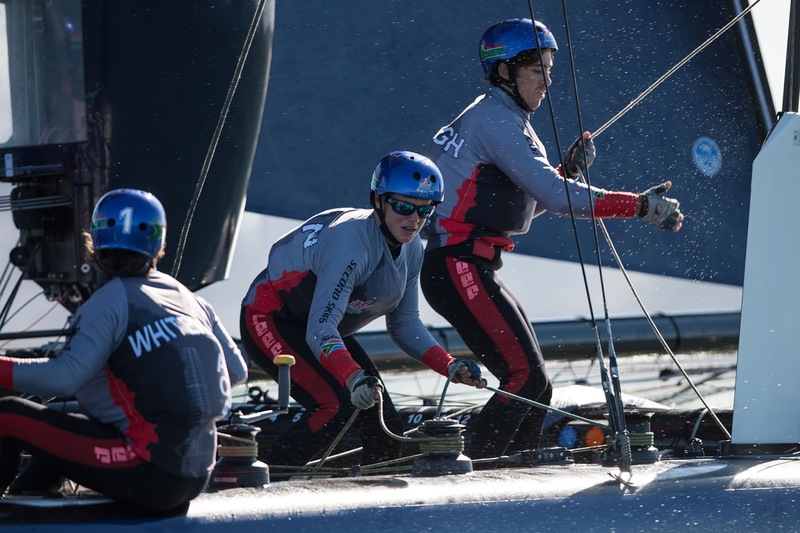 But now the Cup is becoming more accessible for youth sailors, and that’s great for the sport.” The Red Bull Youth America’s Cup has been developed to give youth sailors a pathway to the America’s Cup. In years past youth sailors have had a difficult task ascending the hierarchy of an America’s Cup team. Youth sailors simply weren’t viewed as having enough experience to compete at the high level demanded by America’s Cup crews. 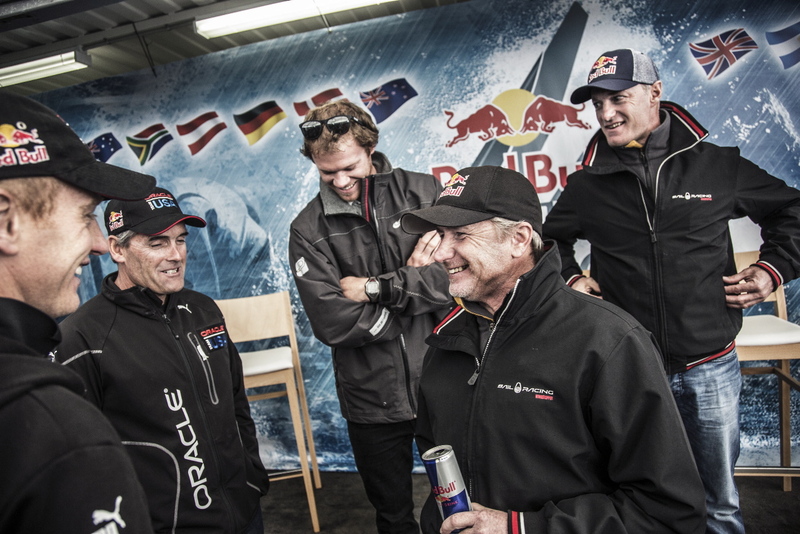 The Red Bull Youth America’s Cup aims to change that. STG/NRV is one of six teams participating in the first selection series. Another six teams are scheduled for the second series next week, Feb. 18-24, after which at least four teams will be selected for the Red Bull Youth America’s Cup scheduled Sept. 1-4. The six teams in this first selection series represent Australia, Austria, Denmark, Germany, New Zealand and South Africa. Some of the crews have put up their own money to enter the selection series, while others have raised money to help offset the costs. All of them have shown more skill and poise than expected, which could be considered surprising given that most of the sailors have raced one-design dinghies and not the powerful AC45 that is used at the events of the America’s Cup World Series. The teams have been sharing San Francisco Bay with ORACLE TEAM USA and Artemis Racing, which have been practicing on their AC72s the past couple of days. As if the AC45s weren’t captivating enough, the sight of AC72s speeding past on foiling daggerboards has left the youths’ mouths agape. Teams that are slated for the second selection series will represent Argentina, Great Britain, Italy, New Zealand, Portugal and Switzerland. They’ll have to come prepared because there are scant few spots available in the final. But even if they don’t advance to the final, there’ve been given a special opportunity.